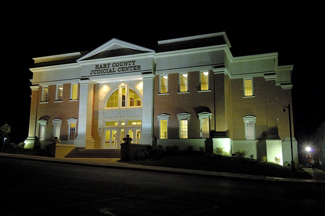 The Hart County Sheriff’s Office is responsible for the security of all Circuit, District, Juvenile and Family Courts. Additionally, Sheriff’s Deputies staff an electronic surveillance station in each building and handle the daily movement and transportation of prisoners scheduled for court appearances. Court deputies also take persons into custody by order of the court for arrest warrants to process them into the Hart County Jail. Our court Deputies serve civil and criminal summons on defendants and respondents, as well as serving warrants of arrest. Deputies are responsible for the care, custody and control of all prisoners within the courtroom. Court Deputies also respond to law enforcement calls for service within the judicial center and the grounds surrounding it. These disturbances usually arise from domestic, child support or divorce cases. Providing safety and security to the judges in the courtrooms is very high priority since the judge can become the target of emotional and sometimes physical outbursts.